I needed a break. I just wanted to get lost in Pinterest. 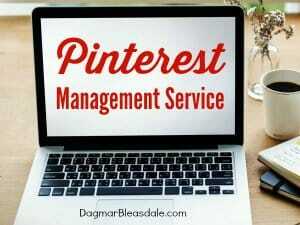 As you might know, I’m a bit obsessed with Pinterest — I’m over there a lot and have 72,000 followers. And so I did, and it’s always amazing to me how creative people are! 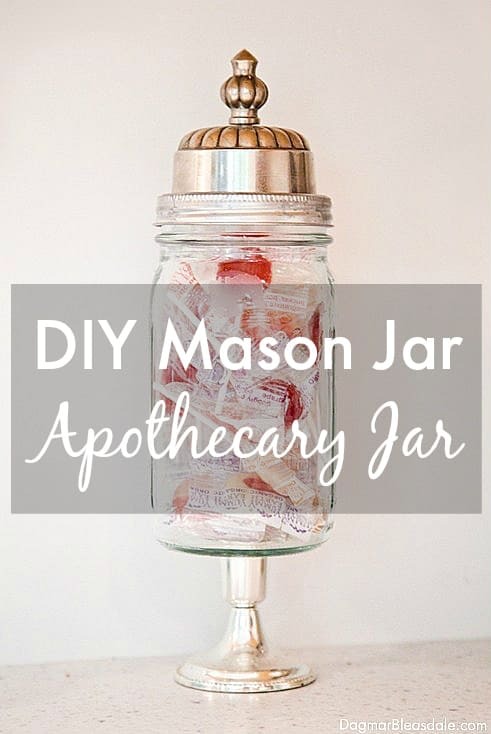 These are the most unique Pinterest DIY home decor ideas and gifts I found in a while. I’m listing them here so I don’t forget them, and because I thought you would like them as well. How cool is this CD cases wall art — and it’s so easy to create. 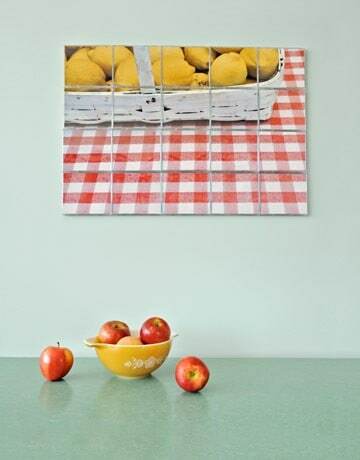 If you don’t have old CDs lying around, you can buy a bunch of clear CD cases for not much money and cut up your favorite picture for this wall art. This would also look great in a kids room — simply cut up a poster, and maybe even leave some space between the CD cases for an interesting effect. I would attach the cases with Command Velcro removable strips. 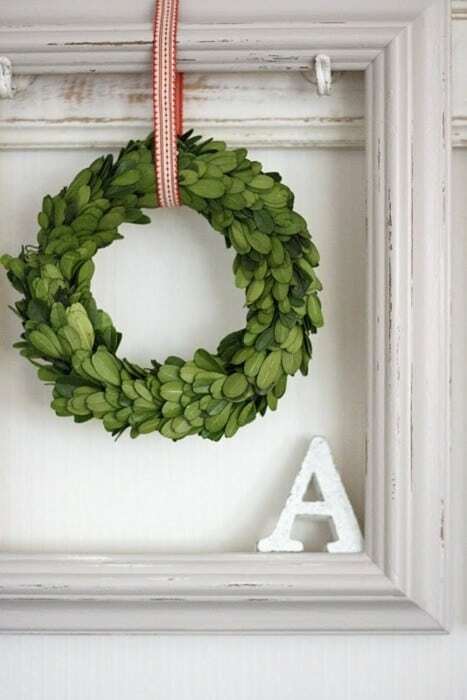 Okay, how pretty is this idea of a wreath and a frame and a monogram? This works for every season and would also make a cute personalized gift. I don’t know about you, but I have so many extra picture frames lying around I could make this with, and you can get monogram letters at any crafts store or Amazon. Just put your kid’s shoes in a shadow box and voila — a shoe growth chart! You could make one for yourself to keep track of your child’s first shoes, and make another one for a family member. I know my mom would love this gift! You’ll want a shadow box with a deep frame, and I would remove the glass so there is room for the shoes. 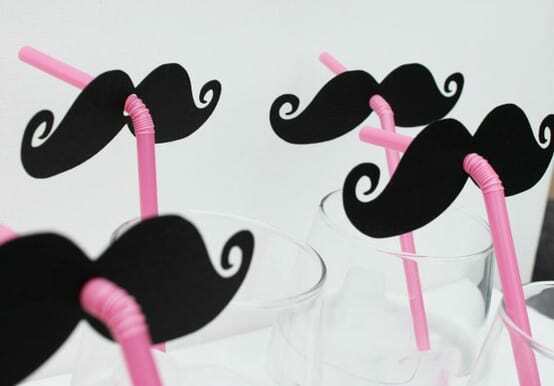 Decorate simple straws with paper mustaches — that’s fun for kids and adults, on any occasion. All you need for this project is black or brown cardstock and a hole puncher. Get out the spray cans! 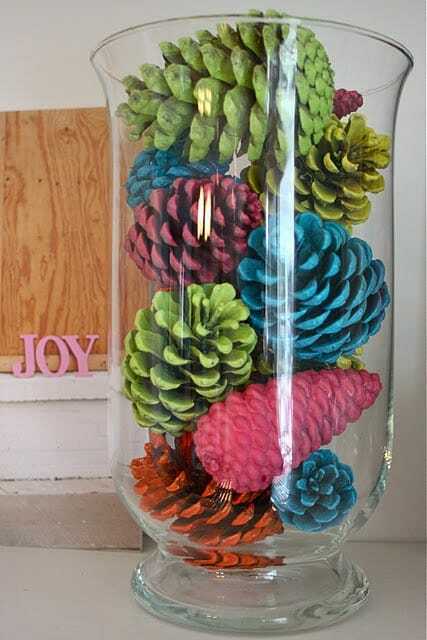 Just spray paint pine cones and display them like this in a glass container. What a conversation piece. 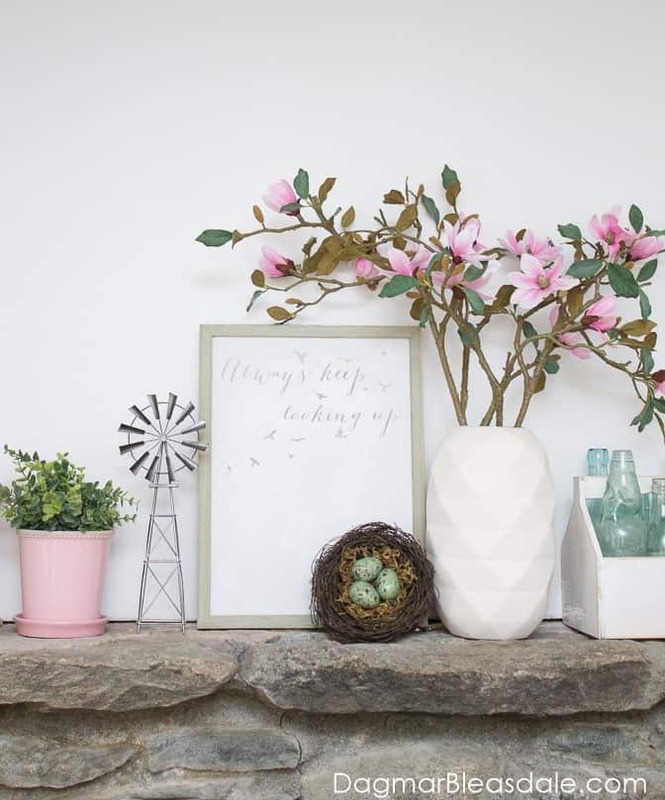 I hope you liked these Pinterest DIY home decor ideas — maybe enough to make one of them? I am crazy about your Pinecones!! Just seeing this picture, with all the different colors has given me tons of inspiration. In the past, I have only used pinecones at Christmas-time. Now that spring is here, I’m looking forward to beginning a new look and theme with them….Thanks a bunch! I love this series on your blog! You should be an interior designer; you have fabulous taste! ps are you up all night til 3 am b/c of the iPad? i do that too sometimes and then I am a wreck the next day! 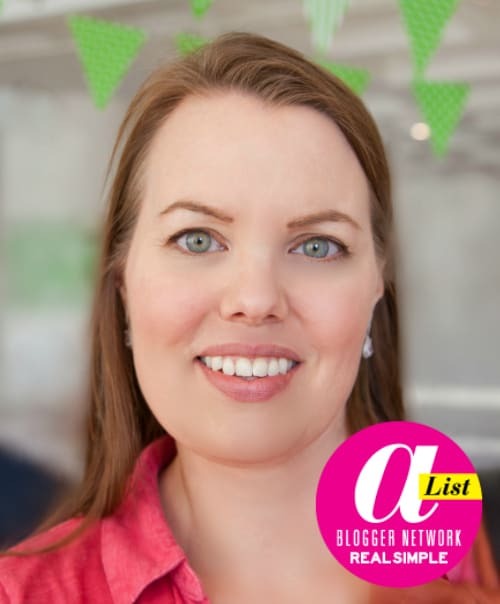 I’m up all night because that’s when I blog and read/answer emails, schedule posts, tweet… :) Blogging as a business is very time-consuming. Thanks for sharing. I really like the shadow box of kids shoes. I think I am going to try this.